A merchant has updated their address for payments but Bill Pay is still sending to the old address, how do I change the address in Bill Pay? Merchants may request that a different address be used for the same bill, and it is up to that merchant to notify Bill Pay of this new address. If the merchant does not notify Bill Pay, then payments may be rejected from the merchant instead of being forwarded. 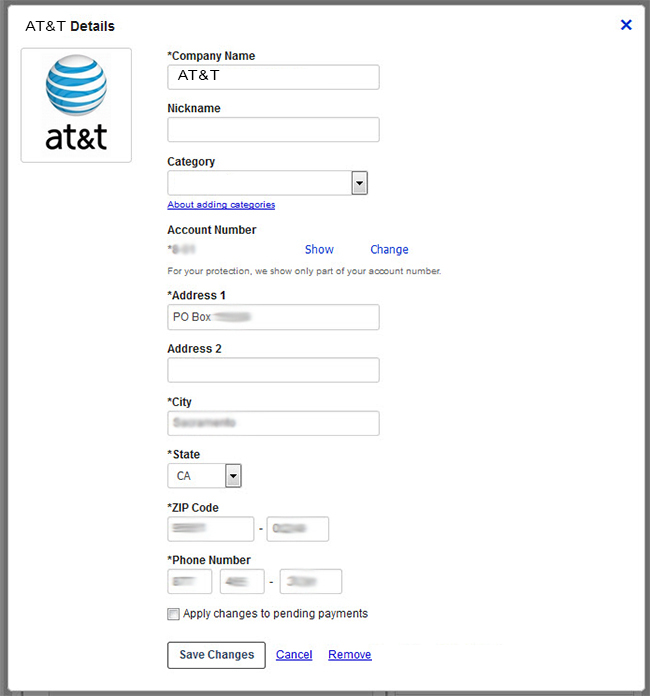 The address for the biller will have to be updated manually in the payment center. To update your biller information, please follow the instructions listed below. 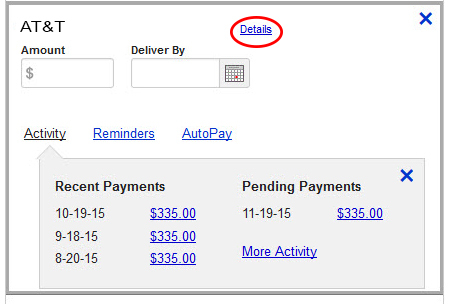 Go to Bill Pay Payment Center and scroll down to your biller and click on them. Click on the "Details" link and make changes to the biller.